If you’re looking into 55 and older communities in Central Florida, take a good look at Cypress Lakes. 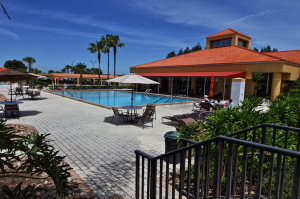 Conveniently located between Tampa and Orlando in Lakeland, FL, Cypress Lakes offers the best possible retirement scenario: wonderful on-site amenities, with quick and easy access to Florida’s attractions. Plus, Cypress Lakes offers all this in such a way that it’s affordable on a retiree’s budget. Cypress Lakes knows how residents of over 55 communities love to play golf, and so we give you immediate and unfettered access to two beautiful 18-hole courses, practically right outside your front door. As a resident-member of Cypress Lakes, you will have priority for booking tee times at either of these courses, which have won wide acclaim among golfing aficionados in Central Florida. Our North Executive Course is an efficient yet challenging par 60 that was designed by Chip Powell, an often-lauded golf course architect. Our South Championship Course offers a full par 72 and has been cited by such publications as Golf Digest as having some of the best greens in the region. To learn more about how Cypress Lakes compares to other 55 and older communities in Central Florida, give us a call today.